Watches & Jewelry aren’t meant to sit in a drawer or safe! Zadok Jewelers discreetly purchases watches, diamonds, gemstones, fine estate and vintage jewelry. Any documents related to the item(s) such as certificates, receipts, appraisals, etc. Please allow two business days for a response. Estimates subject to change based on physical inspection of item. Prices quotes before inspection are subject to change. Final quotes are good for 48 hours. Our buying staff will assess the condition of the watch and market value for re-sale. Timepieces with original papers, boxes and links demand the highest premiums. We purchase diamonds from .05ct and larger and pay premiums for larger, select quality, GIA certified diamonds. If your diamond does not have a GIA certification, our staff GIA Graduate Gemologists will assess your stone and determine a fair market price. 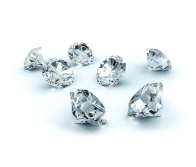 Zadok Jewelers offers a diamond trade-up program for eligible diamonds purchased here. 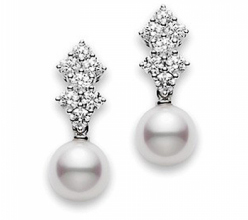 We will buy-back diamond stud earrings as well as single stones of .50ct or higher with a GIA certificate. The price of your new diamond must be at least twice the price of your original diamond. Your diamond must be in its original condition with the original GIA Certificate. Any damage to the diamond will disqualify the stone from our trade-up program. Settings are not included in our trade-up program, however you may accept a credit as determined by Zadok Jewelers. For items purchased before 2011 we require the original receipt as proof of purchase. Some shapes and qualities may disqualify your diamond from our trade-up program. Color diamonds are not eligible for the trade-up program. To find out if your diamond is eligible for our trade-up program, please speak to a Zadok Sales Associate. Zadok Jewelers is interested in signed jewelry (Tiffany & Co, Cartier, Harry Winston, David Webb, etc.) as well as vintage pieces to add to our estate selection. Any paperwork you have regarding the piece is appreciated so we can help ensure authenticity and assign the most appropriate value. For all other jewelry pieces, we are happy to offer purchase pricing based on the weight and purity of the platinum or gold, and any diamond or gemstones set in the piece(s). Please see value for more information. Gold value is taken into account by the purity of the metal. The value of your gold is proportional to its purity. In other words, since 14k gold is 58.33% pure gold it would be 58.33% of the price should the item be pure 24k gold. Keep in mind that no buyer of gold is able to offer a purchase price to the equivalent of the market price of gold due to expenses incurred in the refining process. Items that are traded-in towards the purchase of a new item are only charged sales tax on the difference in price (for Texas residents). For example, if the item you purchase is $1,000.00 and the trade in is $800.00, then sales tax is charged only on the difference of $200.00. Zadok Jewelers abides by Houston Municipal Code Article IV Section 7-88. As such, we are required to document sale of gold within a Houston database, including obtaining driver’s license, a picture of the seller and a thumb print. Zadok Jewelers is unable to purchase all jewelry, timepieces and diamonds that are presented as they may not fit in to our inventory needs.